River of Grass Adventures is a tour company in Miami Florida. It specializes in tours centered on the Everglades and the Big Cypress National Preserve; which are tropical wetlands found in south Florida. The areas consist of cypress swamps, Sandy Island of slash pines and marshes and prairies. River of Grass Adventures is a family friendly way to visit this natural habitat in south Florida. They offer airboat tours which could be private and to your liking so that you can get to enjoy it exclusively with your family. They also offer tours on a swamp buggy for a more off road experience. It is like driving through a swamp and gives you the opportunity to enjoy nature even closer to view the inhabitants such as alligators, turtles, snakes and the birds. Apart from the swampy marshy area in the everglades, the swamp buggy can also ride into the prairies of the Big Cypress National Preserve. Their main offices are located in Miami, Florida where you can get information on the tours. The tours which take place in the Everglades and cover most of the southern part of Miami Florida. The Big Cypress National Preserve is adjacent to it on the northern part which is like an extension of the Everglades as it extends toward the Florida Bay and into the sea. 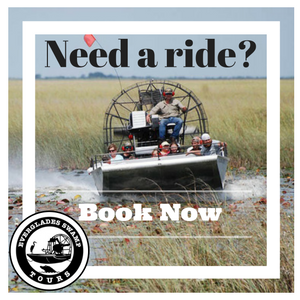 Given the nature of the tours provided by River of Grass Adventures, which include private airboat tours, sunset tours and swamp buggy rides, the family will have a sure way of enjoying the amenities. No matter which way you choose, you will be afforded the opportunity to see some of natures most amazing creatures and bear witness to their amazing habitats. You will get to connect with nature, participate in family activities such as picnics in the prairies and other outdoor family activities suitable for all ages. Swamp Buggy and Airboat eco tours can last anywhere between 1 to 4 hours. A private 1 hour Airboat Tour for 2 guests is priced at $199 and $50 for each additional guest. A private 1.5 hours sunset airboat tour for 2 guests is priced at $375 and $50 for each additional guest. A private 1.5 hour Airboat Tour is priced at $275 for 2 guests and $50 for each additional guest. A 4 hour Swamp Buggy Tour is priced at $375 for 2 guests and $75 for each additional guest. Reservations are needed. Please check for the most current prices.